Busted water pipes are a major problem, particularly if it happens without warning or if you can't find out where it happened. Often the toughest pipe break is one below the slab of a house. If your pipes bust below the foundation, it will require major repairs that include digging out the area of the damage. The only way to know the exact location of a busted water pipe is to see it, but there are ways to know if you are likely to find a busted pipe when you can't locate one anywhere else in the home. 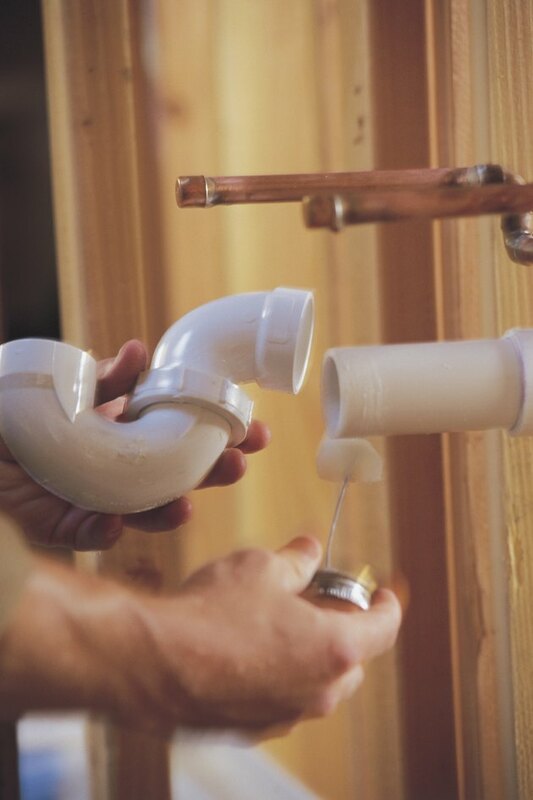 Look for signs of busted water pipes in and around your home. The first sign of a busted water pipe somewhere on your property is a lack of water service. Unless you have a scheduled interruption or have not paid you water bill, your home's water shouldn't stop coming from the tap otherwise unless there is a break in the pipes between the meter and your home. In some instances this could mean a break below the foundation. Check with your water company to find out if there is an area outage for some reason. If not, you must assume that you have a leak somewhere. Begin searching immediately and turn off your water main to prevent as much damage as possible. Sometimes when a water pipe bursts, it doesn't come all the way apart. The water may not stop completely as a result, but the same cracks that let the water escape the pipe may also draw in air, which is then forced through the lines to the various fixtures in your home. When air is in the line, it will result in a sputtering and spitting at the faucets and it may cause pipes to rattle. This same issue can be caused by other factors, so it doesn't necessarily mean there is a leak under your house. Leave a faucet running for a few minutes and see if the air clears out of the line or if it seems never ending. It if doesn't stop, it could be a ruptured pipe. If you still have some water pressure after having a partially busted pipe, then it could take some of the surrounding soil into the line with the water. When dirt seeps into the line through a crack and continues to run, it could turn the water muddy and brown. This dirty water is a sign that there is a break in the water line somewhere or else there are materials in the plumbing that are causing the discoloration. When there is a busted pipe, it will typically accompany other symptoms such as sputtering or weak pressure. Flooding is sure way to know that there is a pipe busted. Until the water main is shut off, the water from the pipes will continue to flow and may pool in the lower areas of your home. If you have a basement, this is likely where flooding would be obvious first if the damaged pipes are below the foundation. The smell of the sewer is unpleasant and unmistakable. If you smell this foul odor in or around your home, it could mean that the pipes carrying away waste water from your home to the sewer system or the septic tank may have ruptured. This would allow leakage of sewage underneath your house. The odor would likely be apparent quickly.